Hi Lunch Packers! Wanna see what I made my kids for lunch this week? Sure you do! Sunday night I made the kids chicken noodle soup for dinner and Augie was enamored of it that he asked that I pack leftovers for his lunch on Monday. Sure thing, Little Buddy! 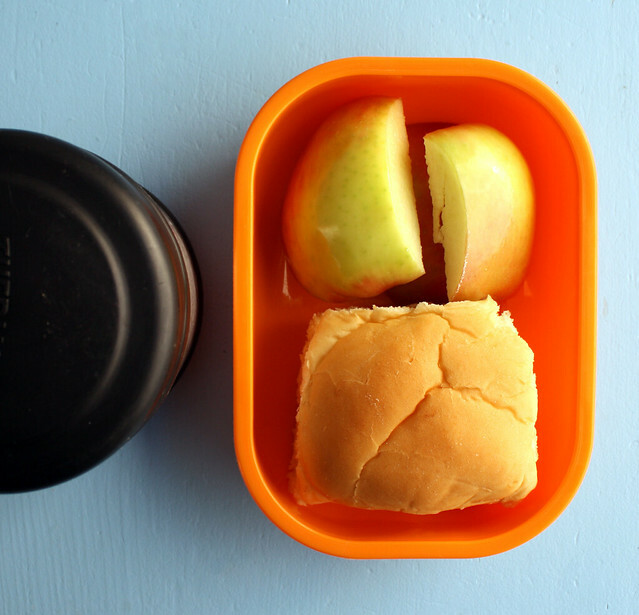 I put his soup in our Thermos food jar , then I packed a side car with apple chunks and a dinner roll. Wyatt had the day off school for Veteran’s Day, so no packed lunch for him. On Tuesday, Augie asked me for a robot lunch so I made him this meal in our PlanetBox : cucumber slices that I cut to look like gears (kinda..can you see it? 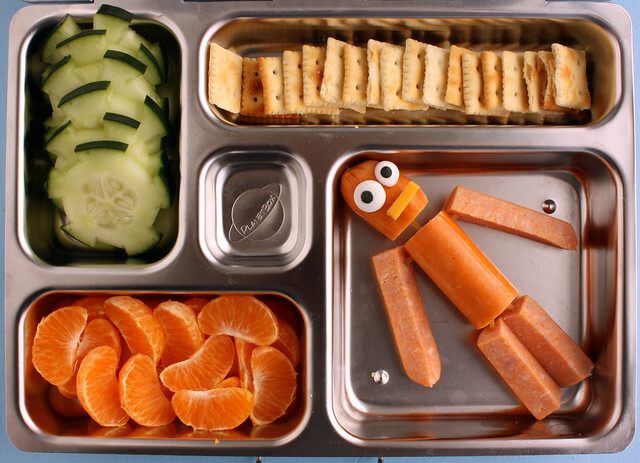 ), mini Saltines, mandarin orange wedges and a hot dog robot. The eyes are Wilton Candy Eyeballs and his mouth is a tiny piece of cheddar cheese. It was Wyatt’s turn to ask for leftovers on Tuesday. He wanted to have the leftover Trader Joes turkey pot pie that we ate for lunch on Monday so I heated that and put it in the Thermos. His side car held mandarin oranges, a few blueberries and whole wheat pretzel sticks. Tuesday I spent some time goofing around in a cake decorating shop near my house and I picked up some fun Star Wars goodies. I immediately put them to use in Wednesday’s bentos! 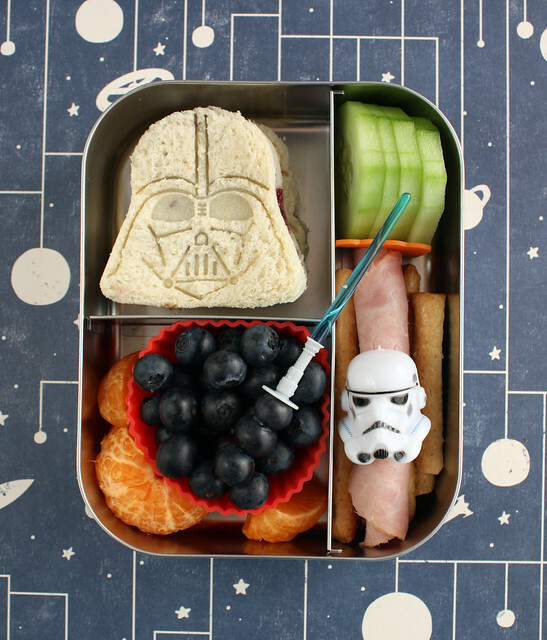 Augie had jelly sandwiches that I cut and stamped with our Darth Vadar cookie cutter, mandarin oranges, blueberries on a light sabre pick , cucumber slices, pretzels and a piece of ham that I rolled up and slid into the circle part of a Storm Trooper ring . Super FUN! This was packed in our Lunchbots Trio. 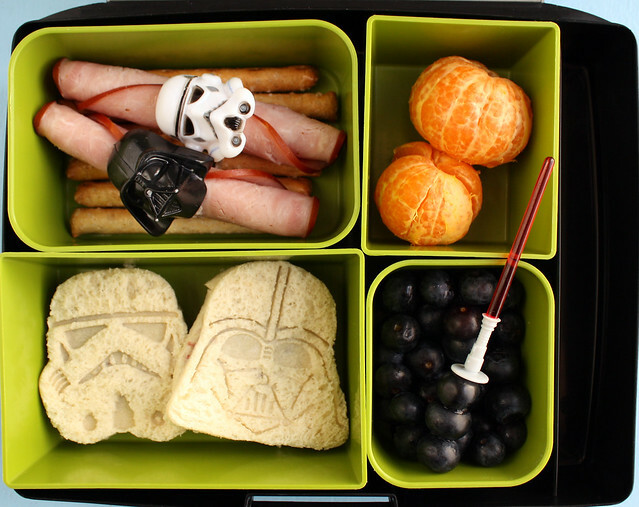 Wyatt had the same lunch but I added an extra roll of ham and a Darth Vader ring. He also got an extra Storm Trooper sandwich. I told him that the oranges were meant to be the twin suns of Tatooine which we both thought was pretty clever. 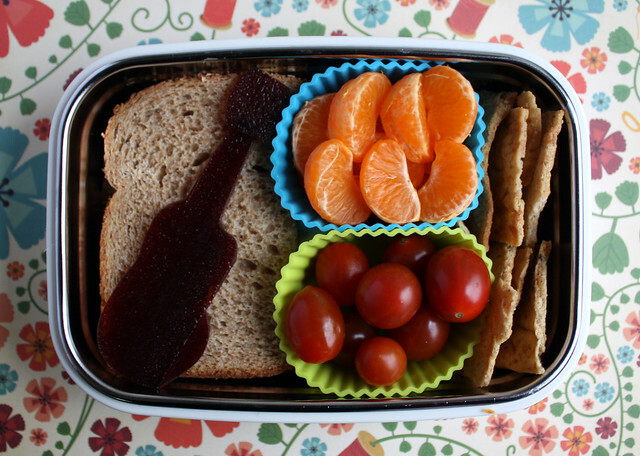 This lunch was packed in our Laptop Lunches bento box. 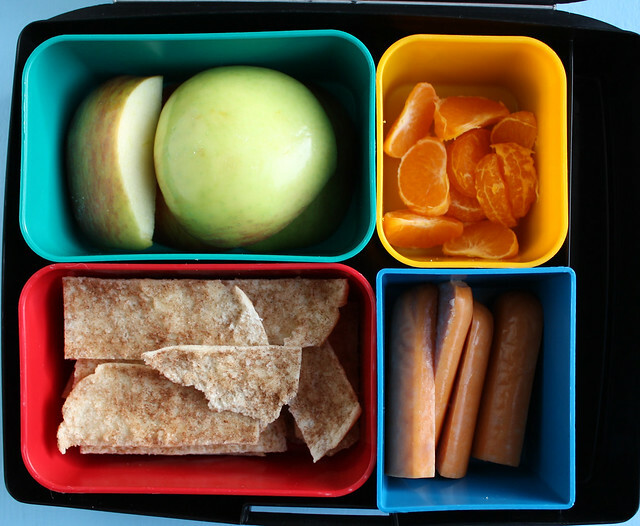 We were running late Thursday so the boys got quick and dirty lunches: apple chunks, mandarin oranges, hot dogs and cinnamon sugar pita chips that I made the night before. Augie had the same lunch, but I forgot to take a picture! 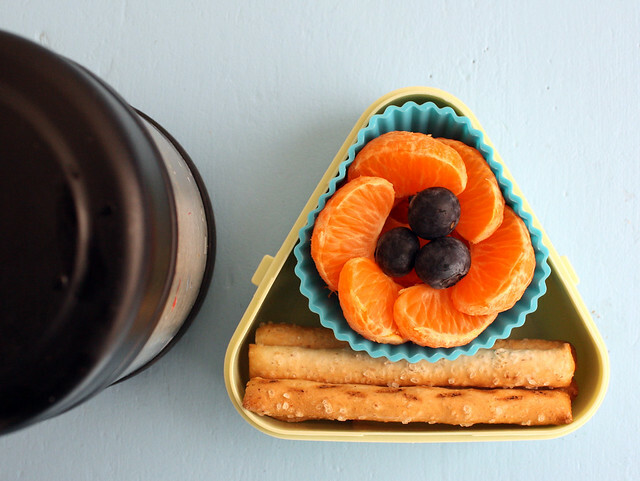 Today, I sent Augie to school with a bento packed in our full-size Steeltainer box : half a pb&j, a guitar cut from fruit leather (a guitar cookie cutter was another one of my cake shop purchases), mandarins, grape tomatoes and pita chips.